Medicine in science fiction – how close is it to reality? Could science be used to restore a person’s sight, as seen in Star Trek? Is is possible to cure cancer through gene therapy like they do in Deadpool? 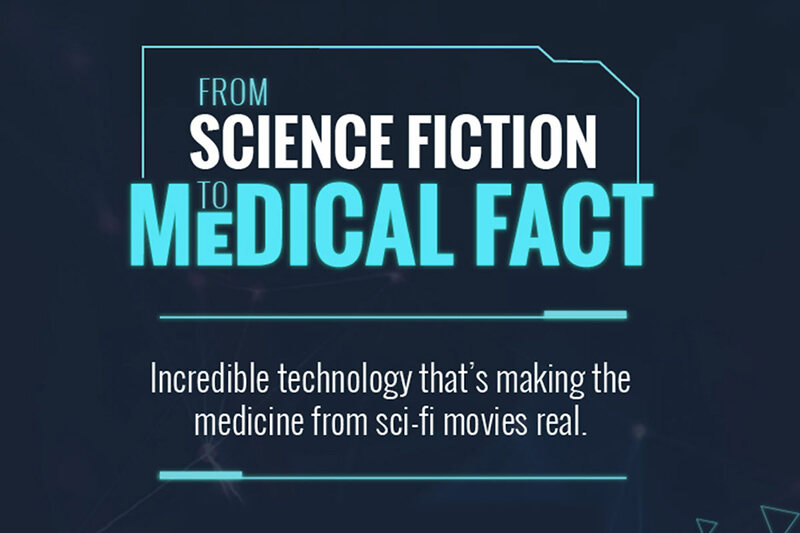 A new infographic designed by the Gap Medics Blog takes a look at some of the most famous fictional medical procedures seen in the movies, and determines how close they are to becoming a reality. The 5 medical procedures below were imagined by film & television writers, but in some cases the real life science is catching up fast. Some are practically here already – for example robotic surgery, which isn’t fully automated yet but is used to assist human surgeons – whilst other may still be a way off – such as giving perfect vision to a blind person using a visor. Check out the infographic below, and click on the image to view the full-size version.